We have to move beyond constitutional arguments by setting out our own position clearly and as one. 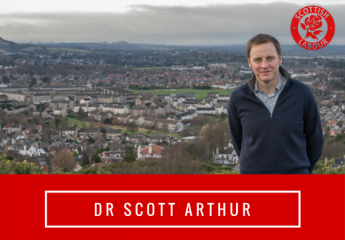 As a party, we can’t back independence due to the damage it would do to public services. However, we need a clear and positive answer to it. It’s our job to set out the case for a form of devolution (inc empowering councils) that works for Scotland. For me, the starting point for that debate is Kezia’s speech on the need for a “New Act of Union“. We need to be clear about what we stand for. At every party meeting I have attended our common cause has been clear, however, we struggle to communicate this to voters in a way that resonates. The 2016 manifesto was a huge step in the right direction which I hope we are able to build on. We need to stop changing our leaders. We have now had 7 leaders in Scotland since Donald Dewar died in 2000. Worse than that, we’ve had two UK leadership elections in two years. Bonkers! We must accept that we won’t be back at the top of opinion polls anytime soon. There is no magic answer or “silver bullet”. Nonetheless, the moment voters see that we are credible those that left us may give us a second look! Above all we need to be bold, confident, progressive and positive in everything we do. Campaigning outside Haymarket Station, Edinburgh, Nov 25 2016. . This is a great campaign as it connects with the day-to-day problems voters face.